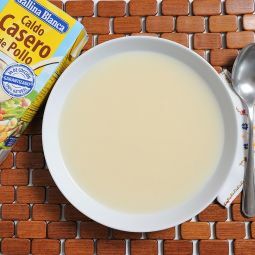 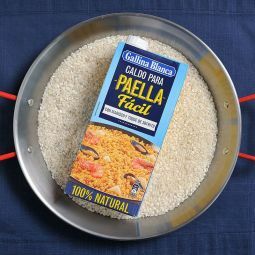 With the first bite you get transported directly into the heart of Madrid. 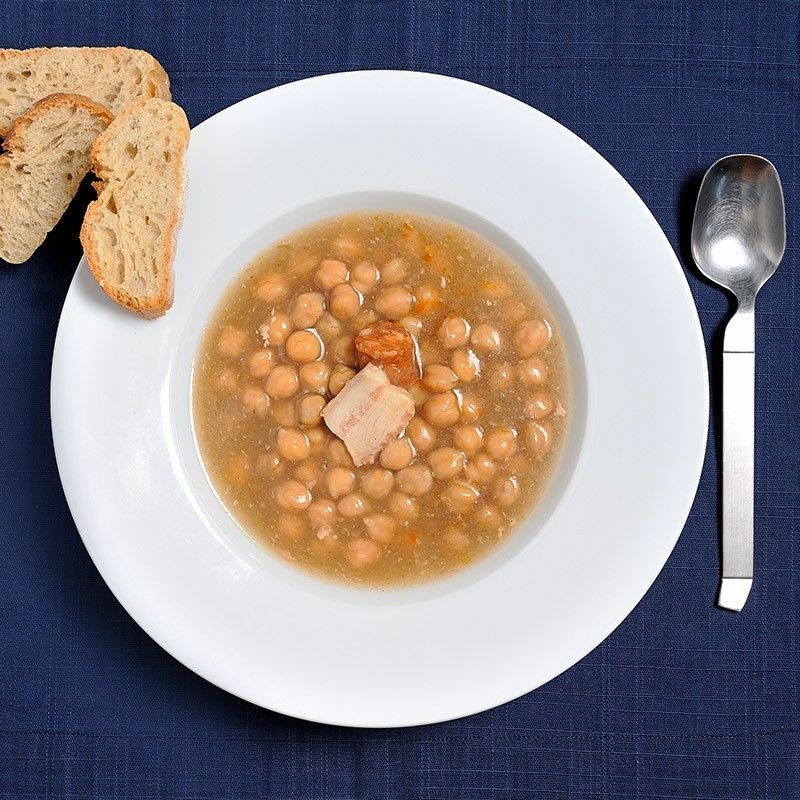 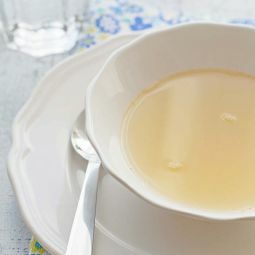 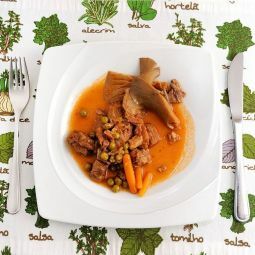 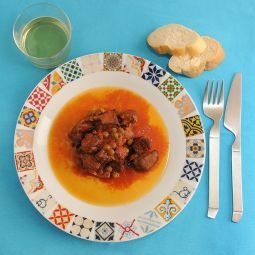 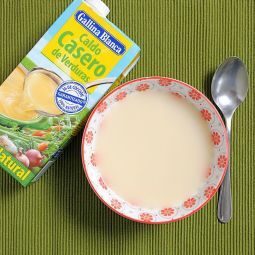 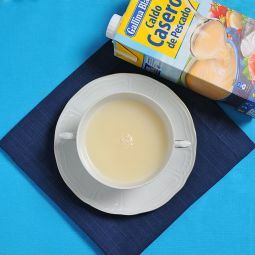 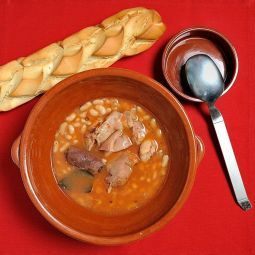 The Chickpeas Stew from Madrid, called Cocido Madrileño, is without doubt the best known dish of the Spanish capital. 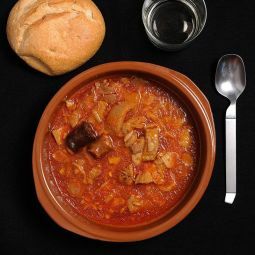 Enjoy this tasty stew easily at home. The traditional Chickpeas Stew from Madrid is maybe the most famous dish of the Spanish Capital. 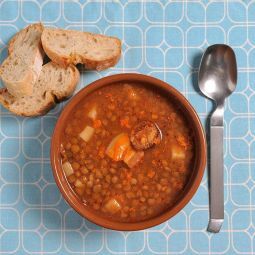 This great craft stew is made with chickpeas, chorizo, bacon and the best vegetables. 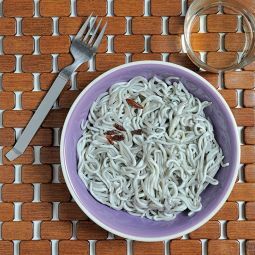 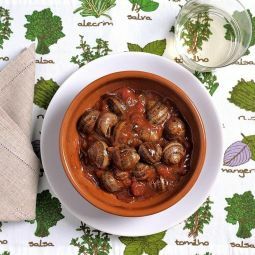 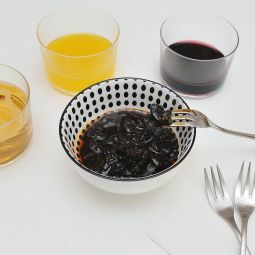 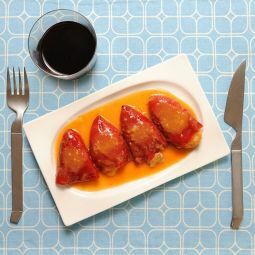 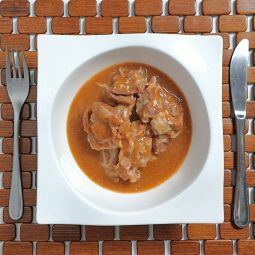 The slowly cooking and the ingredients turn this dish into one of the stars of the Spanish gastronomy. 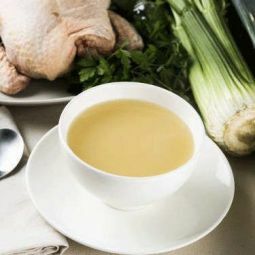 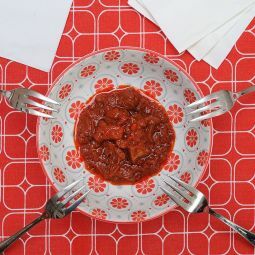 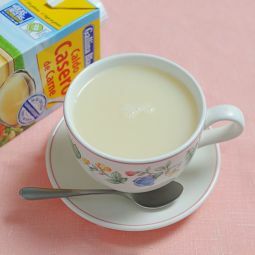 Our stew is 100% natural without adding colourings or preservatives. 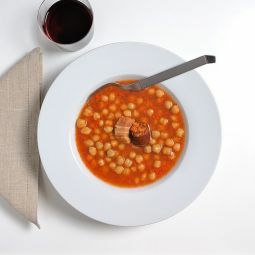 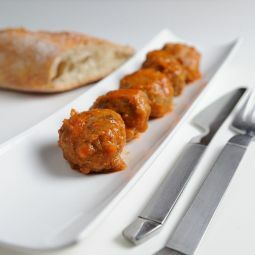 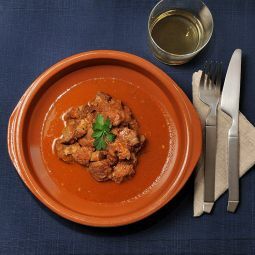 Try our Chickpeas Stew from Madrid, the great rustic taste and the thick texture are going to convince you. 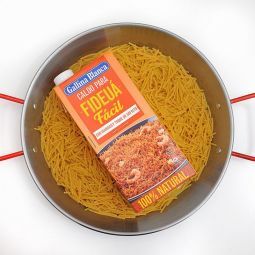 A part of that, it is pre-cooked so you just have to warm it and enjoy.